Breaking his silence on the matter, he told reporters here that the decision would be taken after examining the Kerala High Court order and NCP decision. 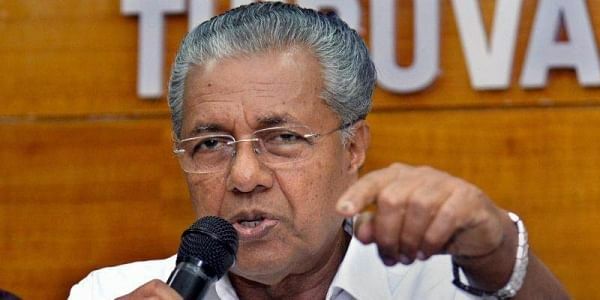 THIRUVANANTHAPURAM/KOCHI: Amid increasing demands for the resignation of Transport Minister Thomas Chandy, who is facing encroachment charges, Kerala Chief Minister Pinarayi Vijayan today said that an "appropriate decision" would be taken at the right time. The court had earlier today dismissed a petition by Chandy, challenging a report by the Alappuzha district collector on alleged encroachments by a company in which he has stake. Chandy is the Nationalist Congress Party nominee in the LDF ministry. Vijayan said the LDF had earlier decided to entrust him to take an appropriate decision on the matter after looking into all aspects. The NCP had also been asked to take a stand on it, he said. In Kochi, the NCP state executive discussed the matter and decided to inform the national leadership about its decision on the matter. NCP state president T P Peethambaran Master, however, did not disclose to the media the decisions arrived at the executive. "We cannot disclose our decision to media," he told reporters. Asked if Chandy would quit if the chief minister demands his resignation, Master sought to downplay it, saying "obviously a minister will have to do so if the chief minister makes such a demand." Chandy, a three-time MLA from Kuttanad, had joined the Pinarayi cabinet in April after party nominee A K Saseendran resigned after a sleaze audio with a woman went viral. The businessman-turned-politician was under attack for the past one month from the opposition Congress-led UDF and the BJP over charges that the luxury resort at Kuttanad in Alappuzha district, owned by him, had allegedly encroached backwaters and violated land rules. Alappuzha District Collector T V Anupama had recently submitted a report to the government, stating there was large-scale violations of Kerala Land Conservation Act and Conservation of Paddy Land and Wetland Act. Challenging this, the minister had moved the high court, which today dismissed his petition.